Why Choose Binger Insurance Agency, LLC? Binger Insurance Agency, LLC has been providing personal service and the best coverage available since its founding in 1960. We serve the Central Pennsylvania area including Loysville, New Bloomfield, Newport, Shermans Dale, Ickesburg and surrounding towns as well as Perry, Cumberland, Dauphin & Juniata counties. If you're looking for affordable coverage for your home, or even coverage for that new motorcycle, we can help. For more information, contact us. Binger Insurance Agency, LLC has been a staple of the community since its founding by Kermit B. Binger in 1960. The original office was located in Blain, PA out of Kermit's home until he moved to Loysville in 1966. Out of his Loysville, PA home, Kermit operated his business up until he sold the agency to Craig W. Yearick in October of 1990. Craig W. Yearick, an insurance agent since 1978, moved from Williamsport, PA to Loysville for the opportunity to own an agency. Upon his purchase of Binger Insurance Agency, LLC, he relocated it to his newly purchased home in Loysville where it stayed until 1997. 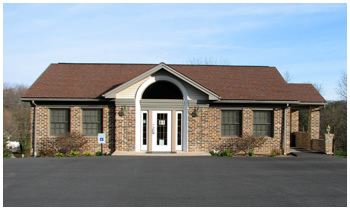 To provide more room for the growing business, Craig built the office you all know today at 3167 Shermans Valley Road in Loysville. Here he strives to provide quality service to the Central Pennsylvania area with the help of Melissa A. Smith and Brett M. Yearick. Brett Yearick, son of Craig Yearick, is a 2003 graduate of West Perry High School and has been a licensed Agent since April 2006. Brett is currently being groomed to take over the agency upon Craig's retirement. Melissa Smith is a 1988 graduate from West Perry High School, and attended Harrisburg Area Community College. Melissa worked at Pennsylvania Blue Shield/Highmark before coming to Binger Insurance Agency in 1997. She resides in Loysville, with husband, Scott and son, Cody.